A New York City Councilman is introducing a bill that would offer free legal counsel for small businesses facing eviction. 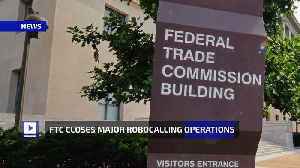 FTC Closes Major Robocalling Operations In its complaint, the FTC says the fake calls centered around multiple schemes. Each year, a billion phony calls were made by one of the outfits,..